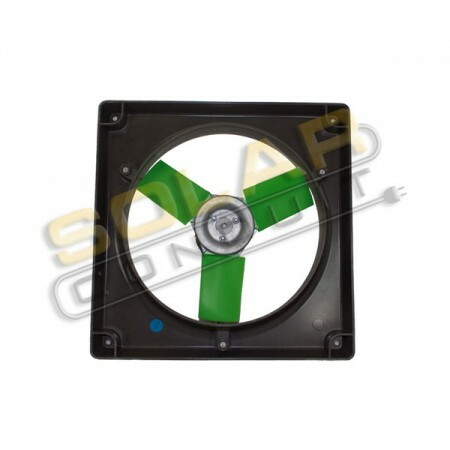 These fans have a 3-wing polypropylene fiberglass blade mounted in a square injection mounded fiberglass venturi frame for easy mounting and long life. 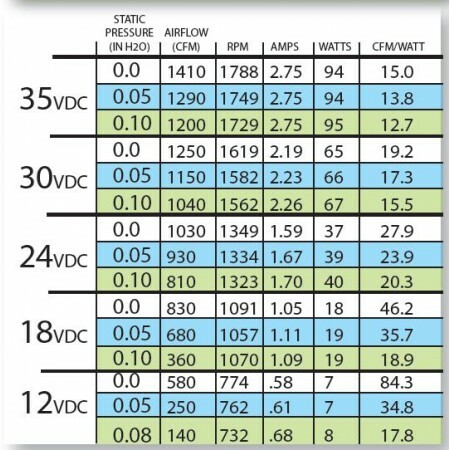 The high efficiency DC motor has a 5000 hour life at 32 VDC and longer at lower voltage. 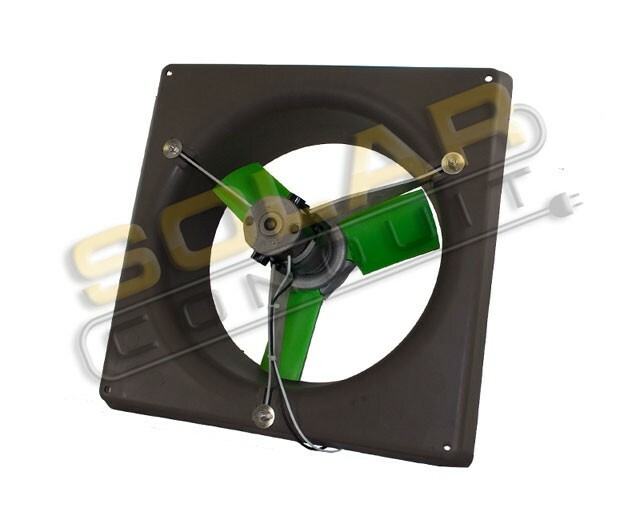 This new design makes the quiet while moving more air with less power. 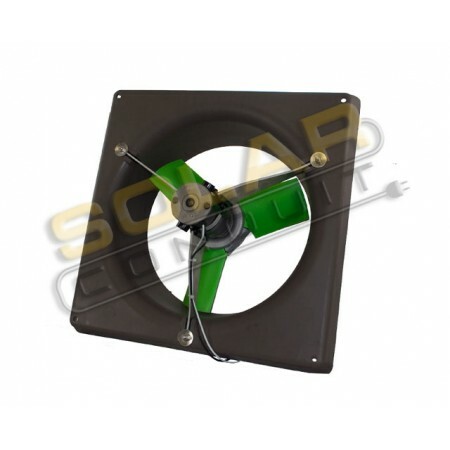 They can be used on existing battery systems or with other module combinations with up to 40 VDC open circuit voltage. Click on image above for CFM specifications.